Local and fresh is the key in this kitchen filled with the finest Quebec products and the very best meat and fish. Maggie Oakes offers simple and artfully prepared dishes in a manner that showcases the quality and flavour of the ingredients. 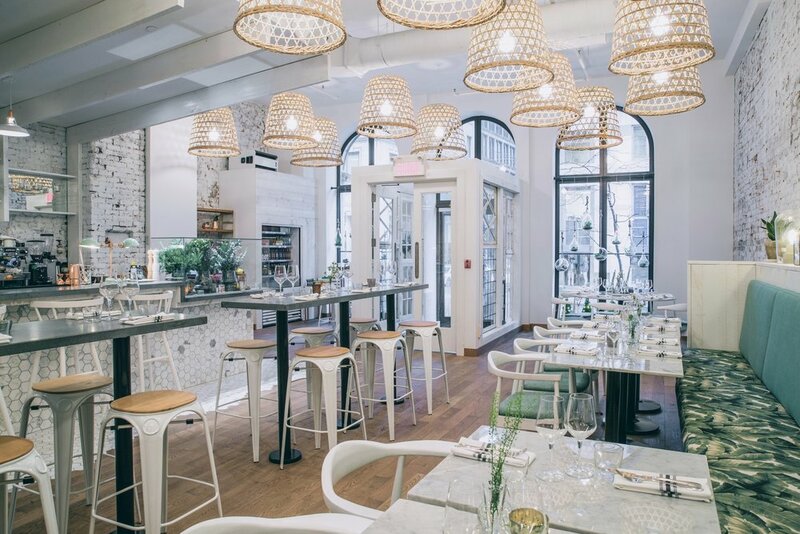 The dining room features a fully stocked raw bar, a dry-aging cabinet for AAA Canadian beef and an in-house vertical garden for herbs and sprouts. More than a restaurant, it’s an institution: quality AAA aged beef, cooked to perfection, for over three decades. You’ll love the classic atmosphere, warm and welcoming. The restaurant is situated directly on St. Paul Street in a beautiful, century-old structure. Inside, you’re greeted by old stone walls, wood floors, cozy fireplaces and attentive staff. Aloha is first and foremost a place where you can sip your favorite gourmet Kona Coffee with a delicious pastry. But it’s also a place where you can enjoy a healthy breakfast or a tasty meal of Hawaiian or International inspiration, with a good glass of wine. With its 400 seats, including its semi-private room of more than 150 seats, the Pub St-Paul is the perfect place to spend a good time and this, whetherfor personal or professional occasions! The two-staire restaurant and bar can accommodate a variety of corporate events. For business cocktails, student parties, weddings or any other occasion, we will find the winning formula for your occasion! The Miracle bar is a full holiday experience with filled with joy and happiness. All cocktails are based on those memorable flavours that we hold dear to our heart with a few winks to some pop classics. Come celebrate with for the whole month of december. It will be magical. The Coldroom is a speakeasy style bar with a warm welcoming feeling and great service. We build creative cocktail menus that change every season which you will be able to enjoy in a nice blues and old rock&roll ambiance. Only thing left to do is find the black door and ring the doorbell.